This brake kit will allow for the installation of the larger 11’’ Ford brake rotor on the MII spindle, giving you over 30% more front brake than with the 9’’ MII rotor. 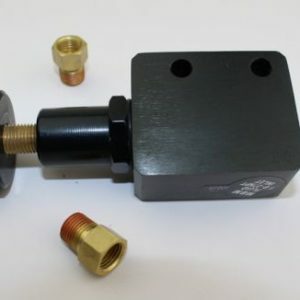 This kit uses the 11’’ Ford rotor, SSBC caliper brackets, and G.M. mid-size single piston O.E. calipers. Comes with all bearings, seals, dust caps, and grade 8 installation hardware, along with instructions. 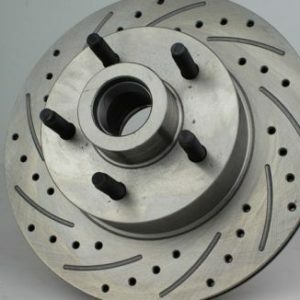 Drilled and slotted rotors available as upgrade with kit: $75.00. Please note: Left side is shown assembled while the right side view displays exploded.